As national energy prices continue to rise, it has become more and more important to consider how your home is powered. And Micro CHP units have proved very popular, not only heating the home, but producing electricity too. Micro CHP boilers are powered by gas or LPG, whilst oil fired systems are being looked into as well. Despite all of these being fossil fuels, Micro CHP units are considered as low carbon technologies as they’re far more efficient than using standard grid energy. They look similar to a normal domestic boiler and can be attached to a wall or left freestanding. And essentially the main difference is they’ll generate electricity for your home too, providing you with a two-for-one system. There are plenty of benefits to give Micro CHP boilers great consideration too. Not only are they eligible to receive feed-in tariff payments, but they’re easy to install and much more efficiency than most boilers in the UK. You’ll make greater carbon savings, giving the environment a helping hand. Project: relocation and fitting of a new bolier. Project: I would like to install a micro CHP at my house. Project: Looking for a company to quote on a service of the CHP, as well as the annual maintenance for the CHP as well as 2 x Andrews water heaters. The below information indicates the energy performance of homes in Uk. Energy ratings vary from A to G, with A being the most energy-efficient and G being the least efficient. The Energy Performance Certificate (EPC) rating factors heavily if you want to sell your house, as potential buyers will see how much they're likely to be paying for their home heating expenses. House improvements such as insulation help to substantially boost a home's EPC rating. The information underneath shows the numerous types of properties within Uk. Essentially the most common homes around the United Kingdom are detached and semi-detached households. Various other houses encompass terraced houses, flats, converted flats and bungalows. The data underneath provides an indication to the number of properties in Uk which are central heated and non-central heated. Homes are heated by a number of sources which indicate how costly annual energy bills will probably be. 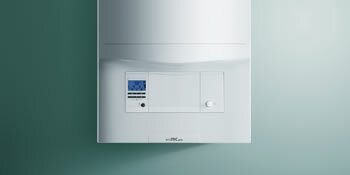 Types of central heating include gas, electricity, oil, solid fuel and LPG boilers. Changing exactly how your house is heated can see you with cheaper bills. The data underneath reveals the spread of homes warmed by various fuels. Around the United Kingdom the most common undoubtedly are gas heated homes, followed by electricity and then oil. Biomass central heating boilers are also rising in popularity, heated by renewable products such as wooden pellets or agricultural waste.|Properties in the UK are warmed by a number of fuels, such as gas, electricity, oil, solid fuel and LPG boilers. Each fuel has a varying cost associated with it and that means you might find yourself with less expensive energy bills by changing the way your household is heated. Even solar thermal panels are being regarded as by many in order to cut heating bills for the many years to come.